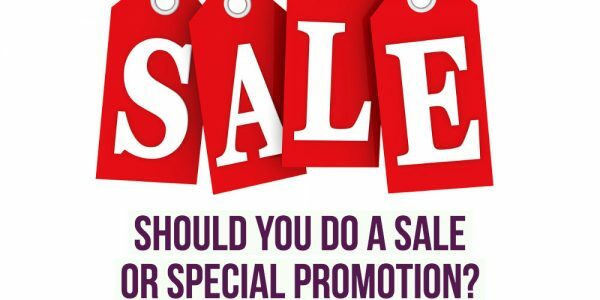 Have you thought about doing a special promotion or sale in your business? …It was 2012 and my husband and I spent Thanksgiving with friends in Santa Cruz, California. We got home late at night because my husband insisted on stopping at a Best Buy for some door-buster deals on our way home – LOL. We slept in the next day and it was around noon before I decided to check my email. Not surprisingly, my inbox was full of Black Friday deals. I was excited to get the offers from Amazon and REI… but then I started seeing how many of my colleagues and mentors were offering Black Friday specials. So I pulled together a 50% savings sale on 3 of my home learning programs. I called it a Cyber Week Sale and ended up with 13 new customers which generated $4,871. I was stoked! The next year I made sure to put doing a Black Friday – Cyber Monday special offer on my promotional calendar when I was doing my annual planning so that I would be ready. Since then I’ve done a variety of different sales and special offers during the Thanksgiving weekend and I’m ALWAYS glad I do them, even if they don’t always go exactly as I had hoped. One year I decided to offer a 40% savings on the home learning version of my best selling program. I had 15 sales and generated $7,170. I considered it a success at the time, but in hindsight I realized that I didn’t feel good about offering my top program at a discount. Another year I created a live training class that I priced at $27 and had 73 people say yes, generating $1,971… which may not look as good on paper, but 2 of those people ended up becoming awesome private VIP clients! 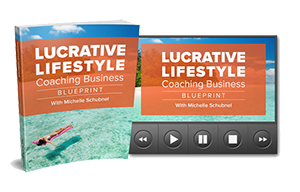 This year I decided to put together a new offering: The Lucrative & Leveraged Coaching Business Bundle and I called it a Thanks + Giving Special because I contributed $50 from each sale to the survivors of the devastating wildfires here in Northern California. It was my most successful Thanksgiving time promotion so far and I loved having the contribution component. We raised $2,700 for the NORCAL Fire Recovery Fund! Woo Hoo! #3 – Have a short time frame, but not too short! Macy’s loves to do a one day sale, but for us I recommend 3-4 days. #4 – Make your special offer a “screaming deal” so it becomes a no-brainer for your customers. #5 – When marketing your special offer, be sure to focus on the benefits and transformation your customers will experience when they say YES to your offering, in addition to the big savings. #6 – Consider including a give-back component. As I mentioned above, I did that this year and not only was it my most profitable Black Friday – Cyber Monday promotion, it made the sale so much more fun, meaningful and rewarding. So… Are you inspired to run a sale or special promotion in your business? I encourage you to go for it and to start planning now for what you’d like to offer in the upcoming year! In fact, I’m doing a live virtual workshop where I’ll be walking folks through creating their Coaching Business Blueprint for the new year. Here’s to getting ready for an awesome 2019 in your coaching business!